IT spending is forecast to rise faster than previously expected in Germany, a bellwether for European industry, while IT sector jobs there will total almost one million by year-end. However, forthcoming legislation could have a chilling effect, industry association Bitkom warned. The news will put a smile on the faces of exhibitors and visitors at the giant Cebit trade show in Hanover, Germany, which opens Monday. Last year, 26,000 new jobs were created in the German IT industry, more than the 10,000 expected, Bitkom said. It expects 21,000 more will find employment in the industry by year end, taking the total to 990,000. The faster-than-expected rise in employment last year has prompted the association to raise its forecast for German IT spending on IT, telecommunications and consumer electronics this year to €155.5 billion (US$163 billion), up 1.5 percent year on year compared to an earlier growth forecast of 0.6 percent. As more companies allow employees to bring their own devices to work, or use consumer-oriented products such as tablets in a business setting, it is becoming harder to distinguish between spending on “consumer” electronics and corporate IT systems, although the association does try. It forecast that corporate IT spending will grow by 3.2 percent, to €80.3 billion. Software spending will rise fastest, up 5.7 percent year on year to €20.2 billion, it said, with IT services including consulting rising 3 percent to €37.3 billion. That’s good news for Germany, which has a strong software and services sector, including global players such as SAP and Software AG. Hardware spending will grow more slowly, rising 1.3 percent year on year to €22.8 billion. 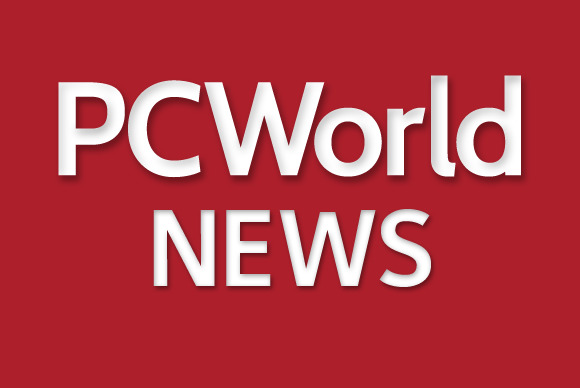 Sales of desktop PCs and notebooks will drop 7.3 percent this year, to €5.9 billion, after rising 15.7 percent last year on the back of software updates, Bitkom president Dieter Kempf said in a news conference in Hanover. The emphasis on PC purchases limited the budget available for tablets, sales of which declined 5.3 percent last year, but Bitkom expects sales to pick up again this year, rising 7.8 percent to €2.4 billion. Much of that spending will be driven by the digitization of new areas of industry, as more machines and vehicles are hooked up to sensors and analytical systems. That’s something viewed as an opportunity rather than a risk by around 86 percent of top managers surveyed by Bitkom—but among small businesses, only around half of senior managers see the transition in a positive light. Telecommunications spending will stagnate at around €65.4 billion, with slight rises in sales of infrastructure and terminals offset by a decline in spending on services. Rising sales of phones and tablets, which can play music and videos and take pictures, will continue to drive down spending on digital cameras and music players, resulting in a 3 percent decline in spending on other consumer electronics. However, sales of home audio and home cinema systems will remain healthy, Bitkom predicted. Government support for the rollout of broadband communications and the construction of intelligent energy and transport networks will give the IT industry a boost, but Kempf warned that some legislative projects still have the potential to stifle growth. Among these, he cited the Small Investor Protection Act, which he expects will make crowdfunding unattractive, threatening the financing of start-ups. With two entire halls at Cebit given over to startups in search of investment, and a third to technology research projects that could be spun off into new businesses, this is particularly damaging: Other countries are heading in the opposite direction, making it easier for startups to seek funding from unqualified investors in this way. Another cloud on the IT horizon is the proposed Workplace Directive, which could make flexible working impossible, he said. Cebit, organized by Deutsche Messe, opens at the Hanover Fairgrounds on Monday.